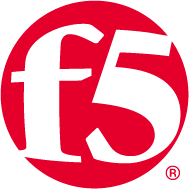 The BIG-IP Virtual Edition is F5's application delivery services platform for the AWS cloud. From traffic management and service offloading to application access, acceleration and security, the BIG-IP Virtual Edition consistently ensures your applications are fast, available and secure. The Best package includes the full functionality of the Better package, as well as BIG-IP APM for secure, anytime, anywhere application access, and BIG-IP ASM, the industry's most effective and robust web application firewall (WAF) for protection against a large breadth of application layer security threats including L7 DDoS, bot attacks and all OWASP top 10 attack types. If you're new to F5 and would like to try before you buy, take advantage of a free 90 day evaluation license by signing up through our trials page on F5.com. Flexibility: Get the most versatile deployment options in the industry to meet your current requirements, with the ability to implement additional BIG-IP modular services (such as identity federation or WAF protection) as you need them. Agility: Quickly and efficiently spin up or down leading application services depending on your specific requirements or usage spikes, with the option to utilise F5 tried & tested cloud formation templates to effortlessly deploy new instances quickly and confidently. Consistency: With the same code and breadth of features as industry leading F5 hardware products, you can rapidly provision the same intelligent services that protect and deliver your on-premise applications, in the cloud.